A toddler remains in a critical condition after a plank of wood fell from scaffolding and hit her on the head, police said. Sussex Police has renewed its appeal for witnesses after the incident in Brighton on Friday morning (July 6), which left the Lancing toddler with a fractured skull. Police said two men have been arrested and bailed in connection with the incident. A police spokesperson said: “The three-year-old girl, from Lancing, was being pushed in a push chair when the large piece of timber fell from a building above and hit her on the head. “The incident occurred in Preston Street about 10.45am on Friday. “The victim was taken to Royal Sussex County Hospital in Brighton, where she underwent surgery for a fractured skull. She has since been transferred to Southampton Hospital, where she remains in a critical but stable condition. “Two people were arrested following the incident and have been assisting officers with enquiries. “A 32-year-old man from Hove, arrested on suspicion of committing grievous bodily harm without intent, being an employee who failed to discharge general health and safety duty at work, and being an employer who failed to discharge general health and safety duty at work, has been released on bail until to August 3. 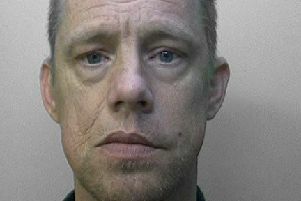 “A 39-year-old man from Brighton, arrested on suspicion of committing grievous bodily harm without intent, and being an employee who failed to discharge general health and safety duty at work, has been released on bail until to August 3. Police are working with the Health and Safety Executive which is investigating the incident. Anyone with information is asked to report it online or call 101 with the reference 455 of 06/07.